With The LEGO Batman Movie hitting theatres this week, we started wondering what other books would thrive under this specific adaptation treatment. After all, Batman started as a book too. And we’d be willing to bet that when DC Comics introduced Batman as a character in 1939, the furthest thing from their mind was a reimagining of their superhero using the interlocking bricks Danish toymakers were experimenting with. (Yeah yeah. We’re a bunch of pop culture history nerds. What did you expect?) Without further ado, here are four books that we’d love to see get the LEGO movie treatment. Two words: LEGO. Dogs. 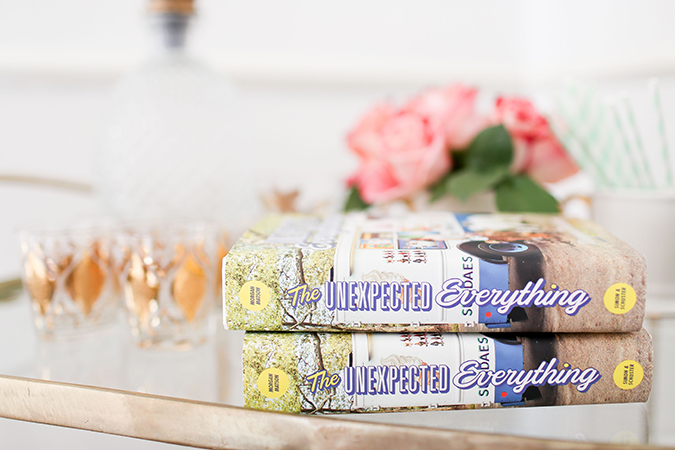 Morgan Matson’s fantastic young adult novel centers on pre-med hopeful Andie and a summer that’s – as the title suggests – everything but expected. When a summer internship falls through, Andie takes a dog walking job in her picturesque Connecticut hometown. Imagine the New England brickwork in LEGO form! And between those adorable fury friends and the high jinx Andie gets into by being so not a dog person, the LEGO treatment practically writes itself. Not to mention Andie’s three best friends, who lend a total girl power vibe to the whole story – an element we feel the LEGO franchise sorely lacks. We all know Patsy Walker from the Netflix series Jessica Jones. But that Marvel universe storyline hasn’t yet introduced Walker’s superhero alias Hellcat. A LEGO adaptation of Kate Leth and Brittany Williams’ Patsy Walker AKA Hellcat can fix that right up. 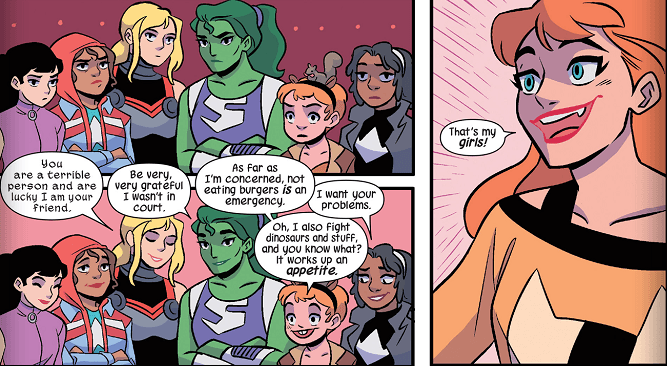 The comic does the ingenious job of integrating Marvel’s female superheroes into Patsy Walker’s storyline, making this series perfect for the LEGO treatment. (Several of them are clients at Walker’s temp agency. They’re all on a group text together. You know, just superheroes being superheroes.) Between the vigilante justice that Hellcat disperses and the start-up culture successes and pitfalls at Patsy Walker’s temp agency, there is so much to mine for that signature LEGO sensibility. Ten out of ten; would see in theatres. 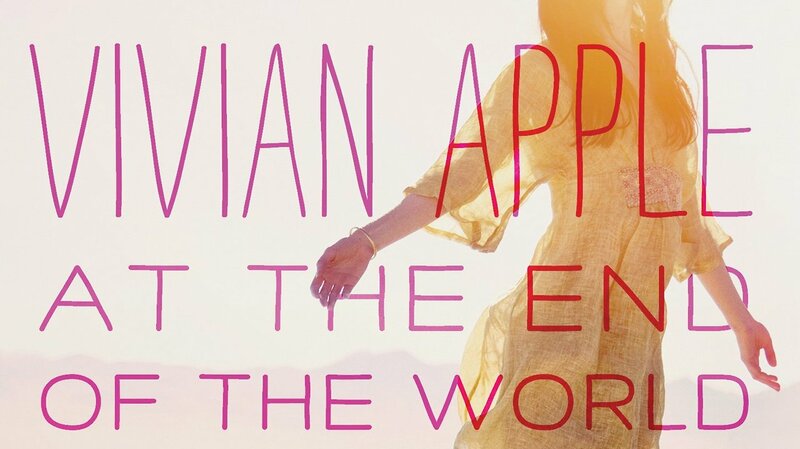 Vivian Apple is on a cross country road trip with her best friend Harp. Both women are escaping the control of a religious megalomaniac’s violent followers and are on a modern day quest to save those who’ve been throw into harm’s way. Because Viv and Harp are basically superheroes in plain clothes, their story is perfect for the LEGO aesthetic. Not to give too much away, but Vivian’s weapon of choice is a sledgehammer. Just imagine the power behind a LEGO-imagined tool twice Viv’s size. Forget unstoppable – she’d be invincible. Ms. Marvel is the teenage Muslim superhero we all love. AKA Jersey City native Kamala Khan. AKA confused as heck about the feelings she has for her best friend Bruno, but whatever she’s too busy saving Jersey City to worry about things like that. AKA LEGO’s next superhero movie? Ms. Marvel is already a playable character in the LEGO Marvel’s Avengers videogame. Taking that fully formed LEGO character and giving Ms. Marvel her own movie feels like the only logical next step. Plus, a movie centered on Ms. Marvel would be the first movie from both Marvel and LEGO centering on a Pakistani protagonist, which would be so incredibly rad. Your move, LEGO.